It seems like you really liked my latest post about console errors verification. Today I'd like to share another useful extension for your Selenium scripts - page load time measurements. Performance category is slightly underrepresented so far (only one post about Google Lighthouse) so it's a perfect opportunity to change it. By the way since my last post about Lighthouse using this tool has become even easier. You can run it online on a dedicated page. It also helps to optimize your page in SEO domain, for example by suggesting meta description. 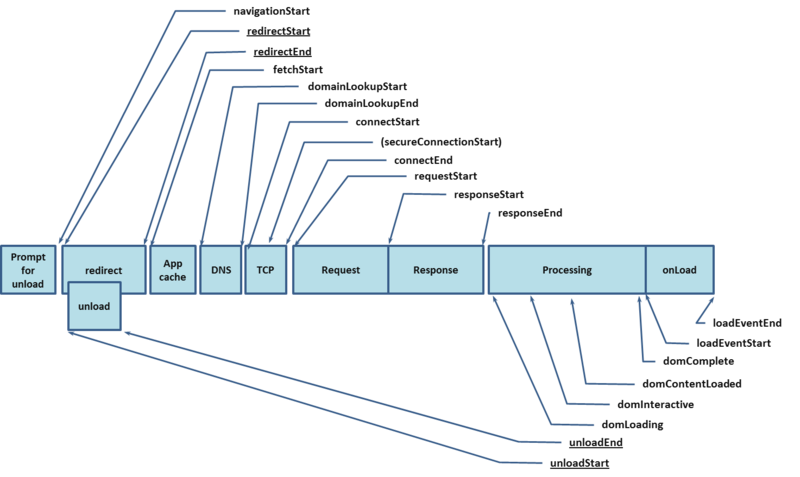 Two weeks ago I mentioned that w3c standardization regarding Selenium logging interface progresses rather slowly. This time the story is totally different. 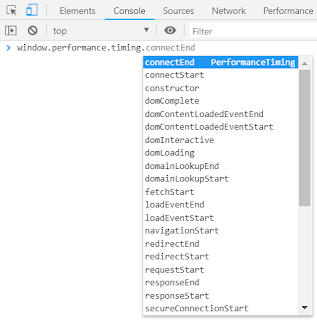 We have nicely documented PerformanceTiming interface which seems to be the implemented in every browser (I tested Chrome, Firefox, and Edge). navigationStart - This attribute must return the time immediately after the user agent finishes prompting to unload the previous document. If there is no previous document, this attribute must return the same value as fetchStart. loadEventEnd - This attribute must return the time when the load event of the current document is completed. It must return zero when the load event is not fired or is not completed. You can access each of those metrics via browser console. 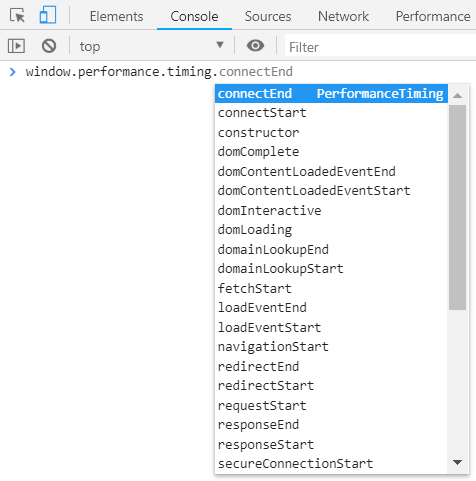 Just start typing window.performance.timing. As usual, I'm going to FluentLenium in my demo. It's Selenium extension with few additional features. Let's use different browser this time - Microsoft Edge. Here is a simple driver setup. We may decide to measure different events at some points so let's make their setup easy and extendable in a separate PerformanceEvent enum. Now let's move to the most interesting part for every tester - actual Junit implementation. We want to display loading time in seconds on screen and assert that it isn't greater than 3 seconds. Pretty simple, isn't it? By the way, I checked it on Chrome and loading there is usually ~1 second faster than on Microsoft Edge.